The 1970’s brought with it an economic struggle and oil crisis. During these tough times our founder, Roger Hansen, developed a high efficient wood burning fireplace that operated using two separate air flow systems. His design was revolutionary, and thus in 1979, Acucraft Fireplace Systems was born. Through our innovation, collaboration & investment in technology, Acucraft is able to offer countless fireplace options to meet the needs of any customer. Whether you’re in search of a traditional, modern, wood or gas burning fireplace we collaborate with you to find the perfect solution for your project. We believe in excellence, and that includes our employees. 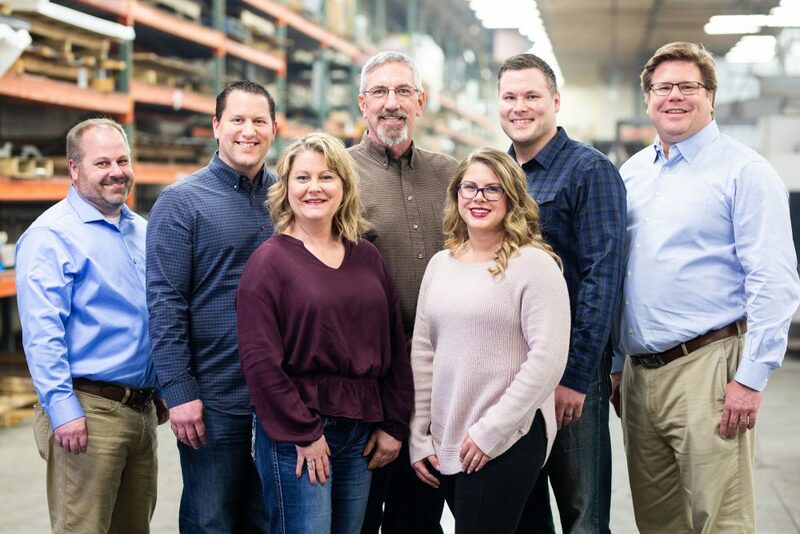 Each member of the Acucraft team has made a commitment to delivering exceptional customer service ensuring your fireplace surpasses your hopes and dreams. Our Fireplace Advisors will help determine the best type of fireplace for your project; our Fireplace Designers will help design and perfect your fireplace; our Fireplace Production Team will bring your fireplace to life; and our Customer Fulfillment Specialist will ensure your project is on-track and meets your deadline! Missy has been with Acucraft since December 2014. Her favorite movie is “The Theory of Everything” and when she’s not blogging or designing new marketing materials you’ll find her cooking and spending time with her family. Her most memorable fireplace project was the custom 4-sided open gas fireplace created for Atlas Holdings in Greenwich, CT.
Nic joined Acucraft in 2018 and brings with him more than 15 years of experience in purchasing, assembly, fabrication and operations. He graduated from the University of St. Thomas with a Bachelor in Arts in Business Administration. When he’s not overseeing all aspects of the manufacturing process at Acucraft you can find him outdoors with his wife and two children. Adam has been with Acucraft since Spring 2013. His favorite movie is American Sniper; when he’s not at work you’ll find him hunting, fishing, or snowmobiling. His most memorable fireplace project was the custom gas outdoor firepit he designed, built, and installed for TGI Friday’s! Meet Your Testing & Service Team! We are so thankful for the opportunity to work with some of the world’s best architects, designers and general contractors along with many homeowners. We are incredibly proud of each and every fireplace that we have designed, fabricated and manufactured for homes, restaurants, casinos, retail stores, commercial spaces, educational facilities, spiritual dwellings, hotels, resorts, apartment buildings, and more!